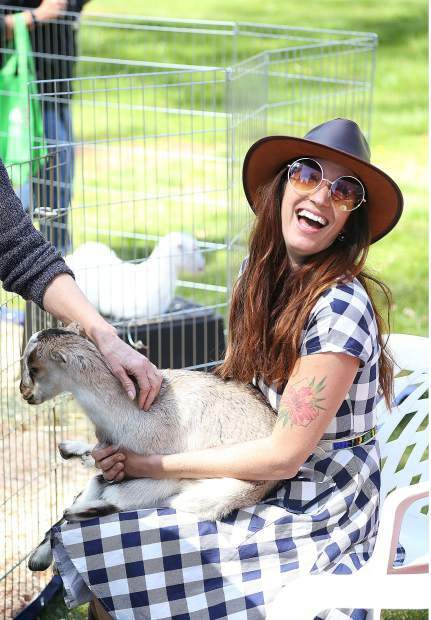 Erin Kaiser of New Wellington Farms off of Bitney Springs Road, holds a baby goat named Liam as folks stop by and learn about the farm and the many uses of the goats. 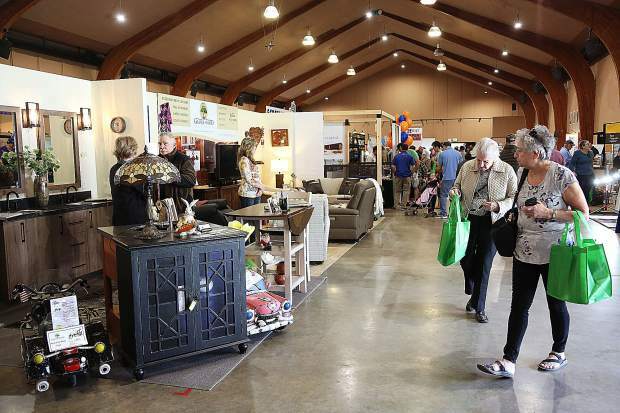 Hundreds of folks walked through the dozens of vendor booths focusing on every type of home improvement imaginable during The Union's Home and Garden Show at the Nevada County Fairgrounds. 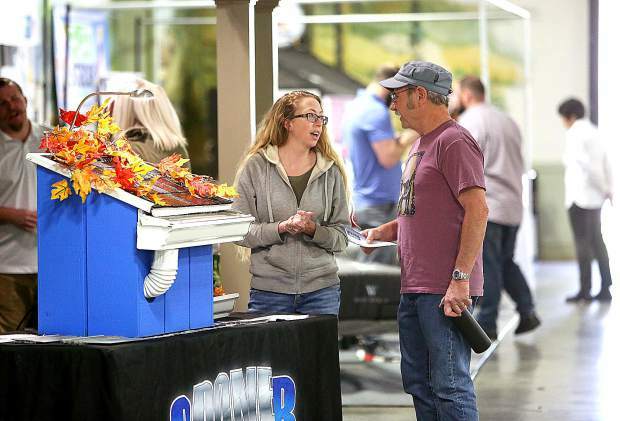 Megan White of Sacramento based Gutter Logic, shows off the Gutter Dome to an attendee of The Union's Home and Garden Show Saturday at the Nevada County Fairgrounds. 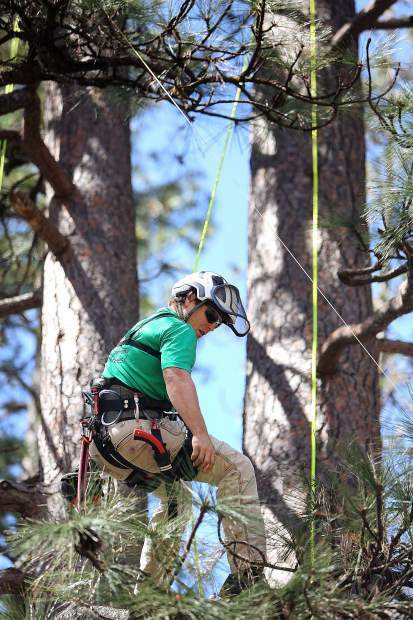 Leaf It To Me Inc. tree climber Skyler Lujan takes a break in the boughs of a tree on the Nevada County Fairgrounds as he puts on a demonstration for the tree service company during Saturday's Home and Garden Show. Brothers Sean Miller (left) and Patrick Miller (right) talk to a group of folks perusing the Home and Garden Show Saturday at the fairgrounds.and offering tastes from their NC Kombuchary selection. 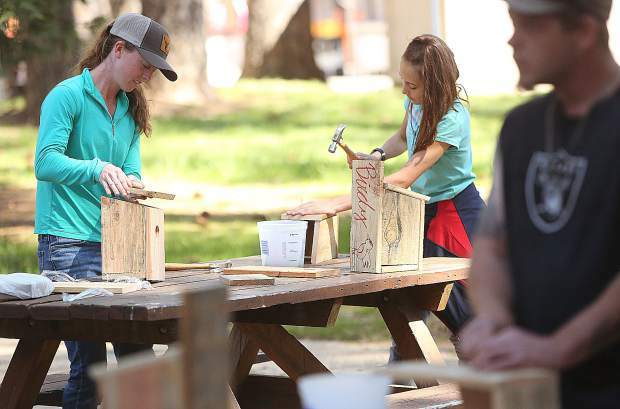 Rachael Perry and Ema Chapman put the finishing touches on their Hills Flat Lumber sponsored free birdhouses. 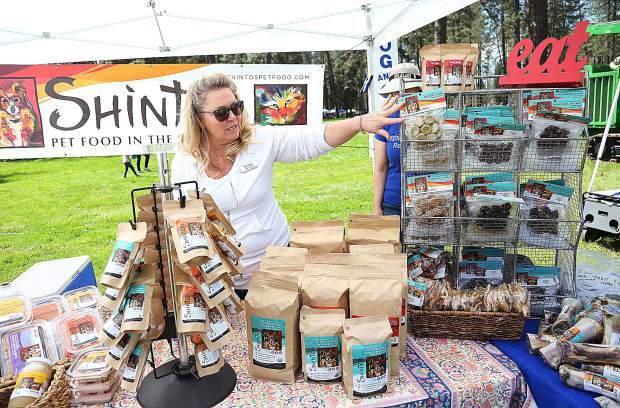 Critter chef Lindsey McClerin shows off her selection of healthy pet treats and food from her Shinto's booth during the Home and Garden Show. 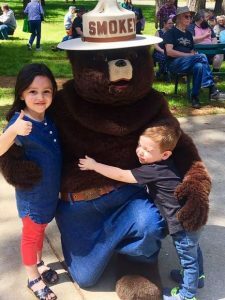 Cal Fire representatives were on hand giving information about the local fire departments and the local dangers of wildfire during the event. 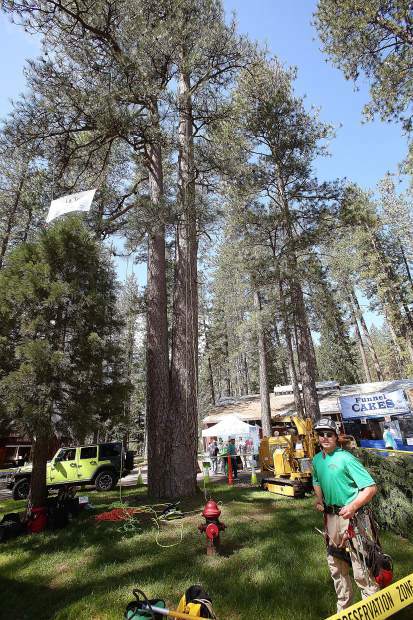 Skyler Lujan readies to climb the large pine tree behind him as he demo's his skills working for Leaf It To Me Inc.
Brothers Sean Miller (left) and Patrick Miller (right) talk to a group of folks perusing the Home and Garden Show Saturday at the fairgrounds. 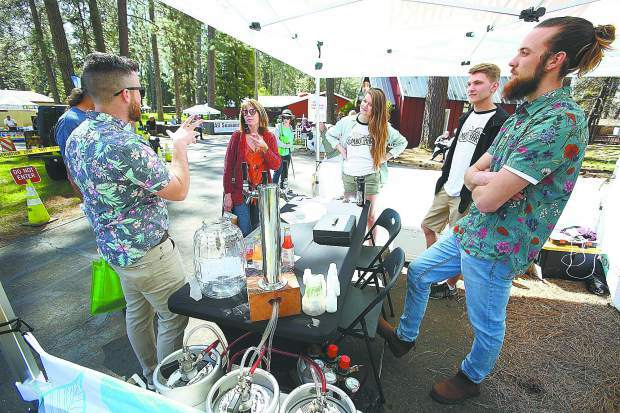 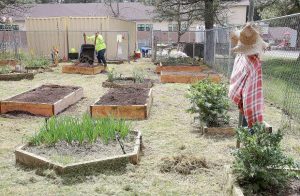 The Union’s annual Home and Garden Show was hosted over the weekend at the Nevada County Fairgrounds, which offered a one-stop shop for information on improvement from dozens of vendors offering various equipment and services — from tree and landscaping services, to solar panels and hot tubs, and everything in between. 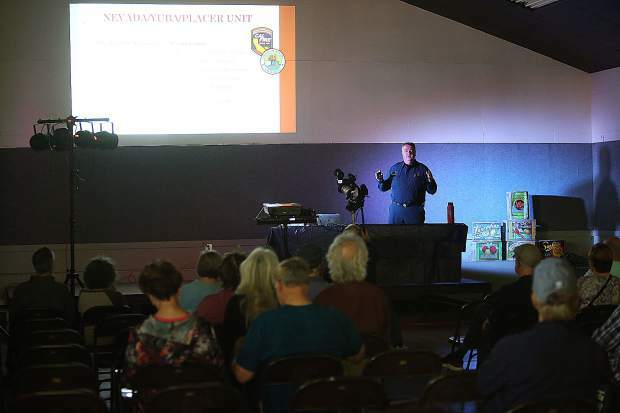 Attendees also were offered information on how to make their home more fire safe. 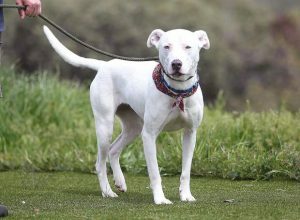 Nevada County Captures: Off to the eggs!